Bullfighting is one of the best-known, and most controversial, Spanish popular customs. It is difficult for an outsider to understand the meaning and fascination with bullfighting, which is at once both a performance and a ritual. It is a spectacle, not a sport between two equals. The bull never wins. For its fans, the bullfight is an art, the challenge of man fighting against the beast. 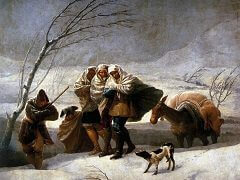 To others, it is an archaic tradition. Nowadays, the bullfight is controversial. Many Spaniards believe it is a cruel spectacle that should be abolished and has no part in their modern European culture. Others believe it is the one symbol of Spain that makes the country different. 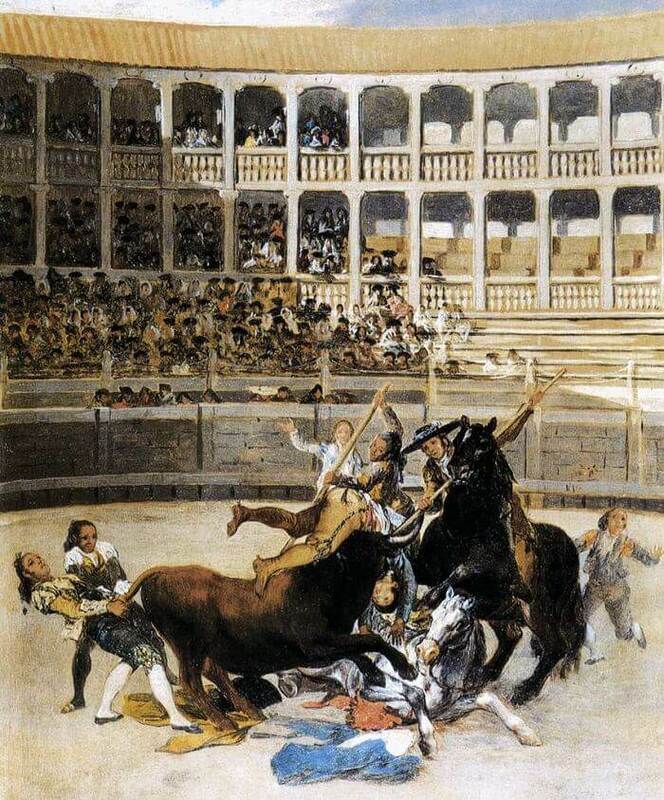 In eighteenth-century Spain, bullfighting influenced social mores even more vividly than it does today. It was an opportunity for all classes to mingle and unleash primitive passions together. 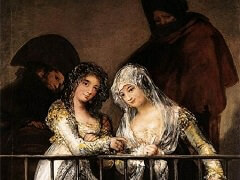 Francisco de Goya was a tremendous fan. He was powerfully attracted to the national sport, a potent symbol of the struggle between the matador, who represents goodness and life, and the bull, a symbol of evil and death. The painter was also fascinated by the outward trappings of the struggle: the speed, courage, skill, and elegance he saw in the participants. The thirty-three pictures in the series that includes Pass With the Cape earned him the nickname "Francisco of the Bulls." 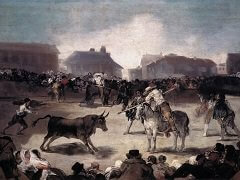 For Goya, bullfighting was simply another aspect of reality - a reality so significant and poetic in itself, so stirring and fascinating that it needed no interpretation. 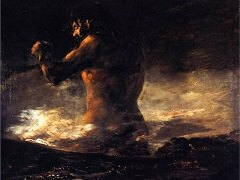 He therefore limited himself to eyewitness accounts, reporting only what he actually saw. 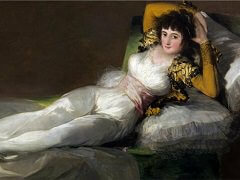 He drew and painted bullfighting throughout his life. 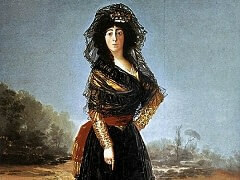 Unlike his portraits of the Spanish royal family, Goya's bullfight paintings were not commissioned; he made them to explore his own personal interest. 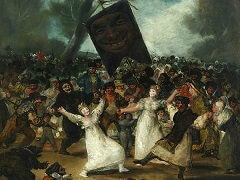 In them, Goya captured both the brutality and the energy of this real-life event.